Discover the Romance of Rome. Romance Of Rome opens as you learn that imperial relics are stolen and the Emperor promises to marry his beautiful daughter to any person who brings them back. Only you can help Marcus find the stolen relics and win the heart of the Emperor’s daughter. Travel to every corner of the ancient city of Rome; The Coliseum, Thermae, Forum and more. 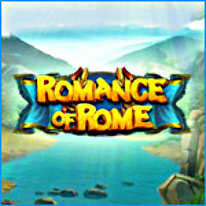 Collect skillfully hidden items, earn money, get original trophies and complete challenging quests to earn love and worship of Roman citizens. Be written into the Marcus’ story! Complete all of the adventures and reveal his deepest secret to win the heart of the Emperor’s daughter in Romance Of Rome!